You are here: Home / Ethnic Groups / The People of Sumatra / Who are the Trans Migrant Javanese? By far, the largest people group in the country of Indonesia is the Javanese. The most densely populated island in the Indonesian archipelago of over 13,000 islands is Java. For this and other economic reasons, the government sanctioned a massive relocation program during the 1970s -1980s in which millions of Javanese farmers moved to rural locations in Sumatra. 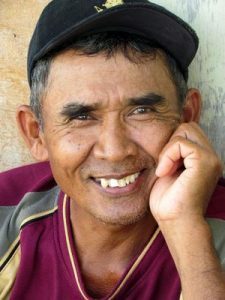 There are 15 million of them which makes the Transmigrant Javanese the largest people group on Sumatra – over twice the size of the next largest unreached group. Javanese live all over Sumatra. There are large concentrations of them on the north eastern coast and in southern Sumatra. These farmers were asked to “tame the jungle” or work on Sumatran plantations. These transmigrants endured a broad spectrum of hardships; however, due to their hard work and perseverance, many have prospered. Most Transmigrant Javanese are Muslim, yet there are over 60,000 Javanese believers on Sumatra. That sounds like a lot, but it only represents .46% of the total population of Javanese in Sumatra. There are around 2,000 Javanese churches in Sumatra. Most Javanese believers don’t think about praying for or sharing the Gospel with the lost living around them. A spiritual renewal among the Javanese believers on Sumatra could have a large and far-reaching impact on the island and beyond. Most of the indigenous Sumatran tribes are prejudiced against these “newcomers.” So they simply need people who will be their friends and accept them!